Information Systems engineered for the tactical community are unique to those designed for fixed datacenters environments and shore commands. The tactical community has a unique requirement to deliver enterprise-class network capabilities to the war-fighter, while managing resources within a highly-constrained space, weight and power envelope. 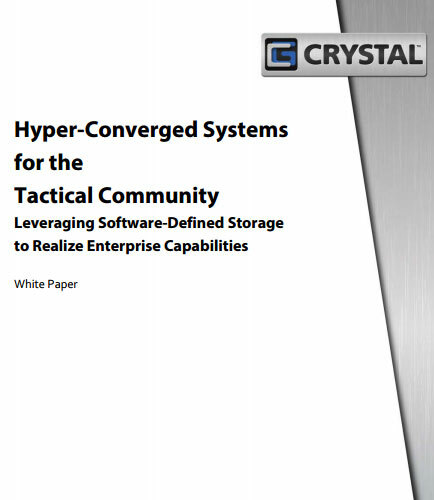 This whitepaper provides insights on the evaluation and implementation of the EMC and rugged-based software-defined and converged infrastructure into tactical environments and associated programs of record. Collecting visitor and customer data through a variety of channels allows you to quickly grow your contact list. However, receiving high quality data isn’t necessarily a given. Whatever your touch points are with customers or prospects – including customer data, contest entry forms, phone surveys, lead generation and point of sale interactions – some data will be inaccurate, incomplete, or fraudulent. So how can your company avoid the challenges associated with bad data? Download this white paper and learn how to identify areas that could benefit from improved data quality, realign your data quality goals to improve your bottom line, optimize your human capital and even help the environment.